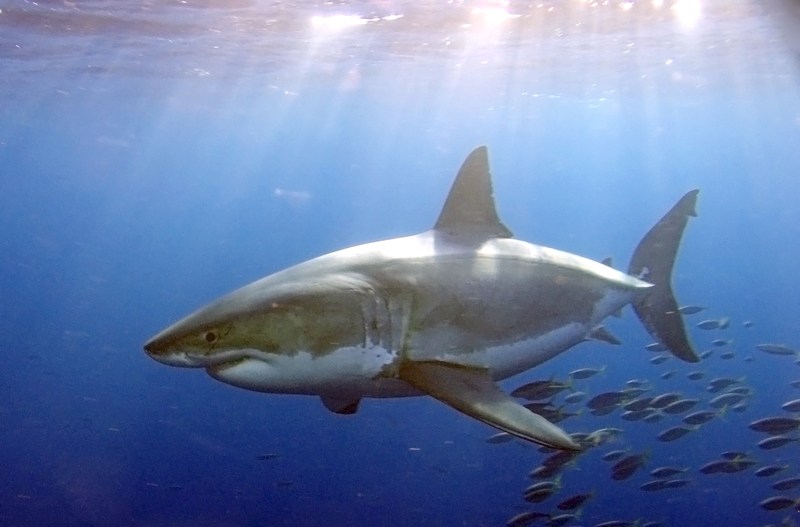 Some 200 miles south of San Diego lays Guadalupe Island, justifiably famous as a gathering place for the ocean’s apex predator, the White Shark. Photo diving is from shark cages, and we were surrounded at times by as many as four mini-van sized whites simultaneously. Stealth technology with teeth, serious teeth.